Enjoy the fun and excitement of boom netting along pristine beaches and crystal clear waters. 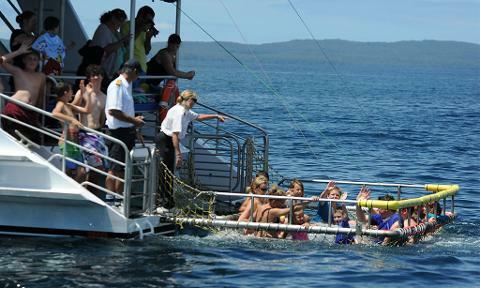 Our vessel Port Venture is Jervis Bay's only boom netting boat and it's an experience like no other. The kids will love it. Port Venture is a disabled access vessel and has a sea crane on boom net to ensure our guests with disabilities can enjoy the fun. Please contact the booking office and request this vessel.